Capturing the shining clear water. 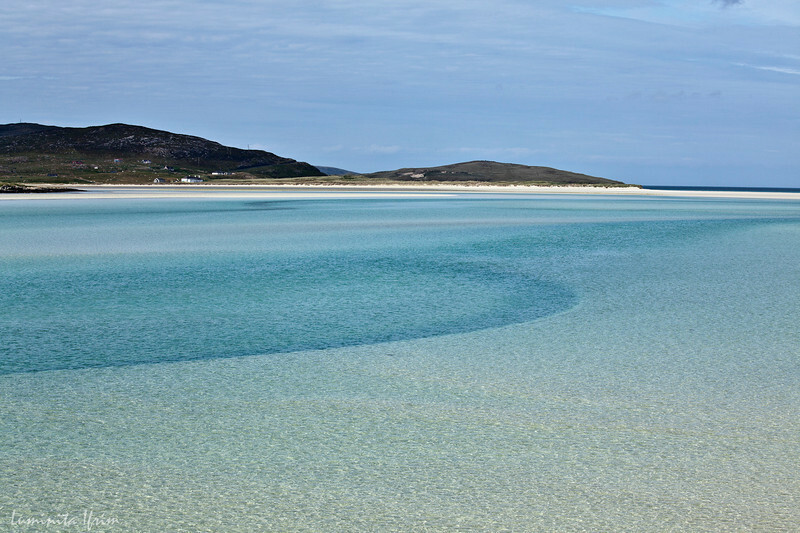 "Whenever travel writers compare Scottish beaches to the Caribbean, they are usually talking about Luskentyre. In the right light, the blue-green waters look positively Bahamian, and the sand is like talcum powder. "